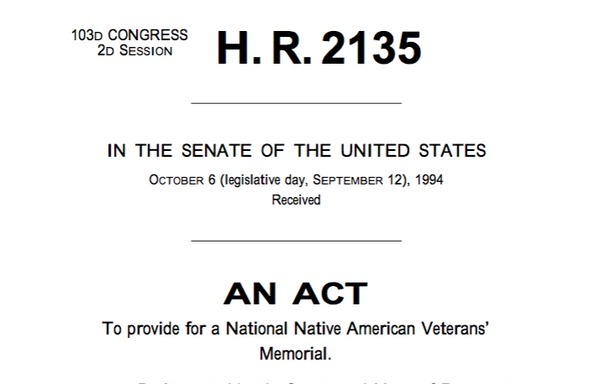 “National Native American Veterans’ Memorial,” Histories of the National Mall, accessed April 22, 2019, http://mallhistory.org/items/show/519. Since the 1770s, American indigenous people have always served in the US military at a higher rate than other groups. 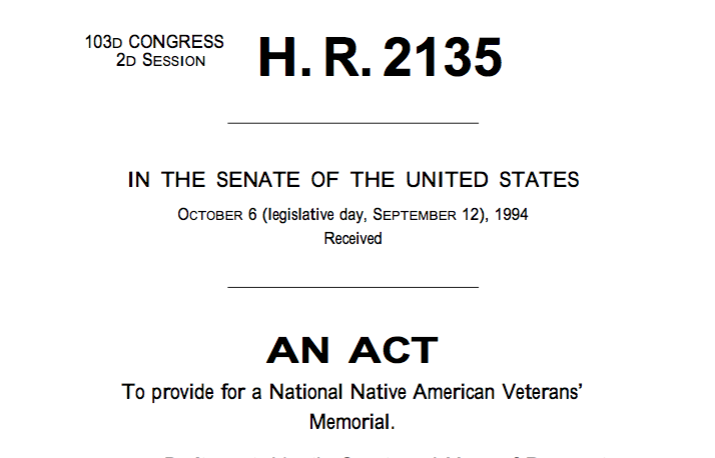 In 1994, a bipartisan congressional effort passed the Native American Veterans’ Memorial Establishment Act to authorize the creation of a memorial to all American Indian, Alaska native, and native Hawaiian veterans. The memorial was to be placed inside the Smithsonian National Museum of the American Indian. In 2013, Congress gave the Museum authority to select the final location of the Memorial and to assist with fundraising since no federal funds would pay for its construction. Some advocates wish the Memorial could be on the Mall near other memorials honoring American war veterans.